There is no food I love more than potatoes. Potatoes are the single greatest thing to ever grow out of the earth. Basically, you can do anything to a potato and it still tastes delicious. One of my fave things to do to a potato is to make them breakfast-appropriate. We don’t eat your typical meat-and-potatoes diet (obviously), so incorporating my beloved potato into meals can be a tad difficult. Thus, Lazy Sunday Hash was born! And yes, I’m making it on a Wednesday because I don’t abide by the rules of society. This recipe has the added bonus of minimal prep-time and effort! 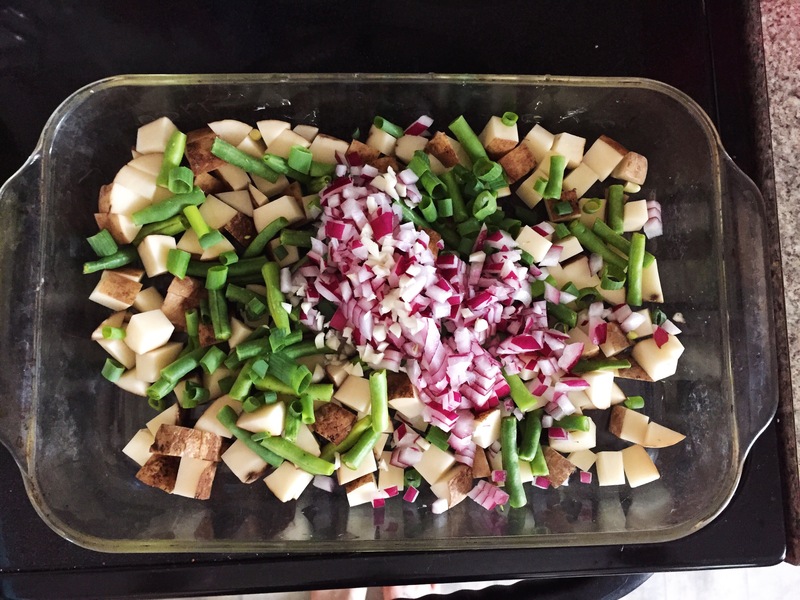 Prep your veggies and put them all into a glass baking dish. Sprinkle on your spices. Toss in the avocado oil until well coated, and stick in the oven. Slow-roast for an hour, removing and stirring every 15 minutes for even cooking. **If you don’t have an hour to kill, set the cook temp higher and stir more frequently. 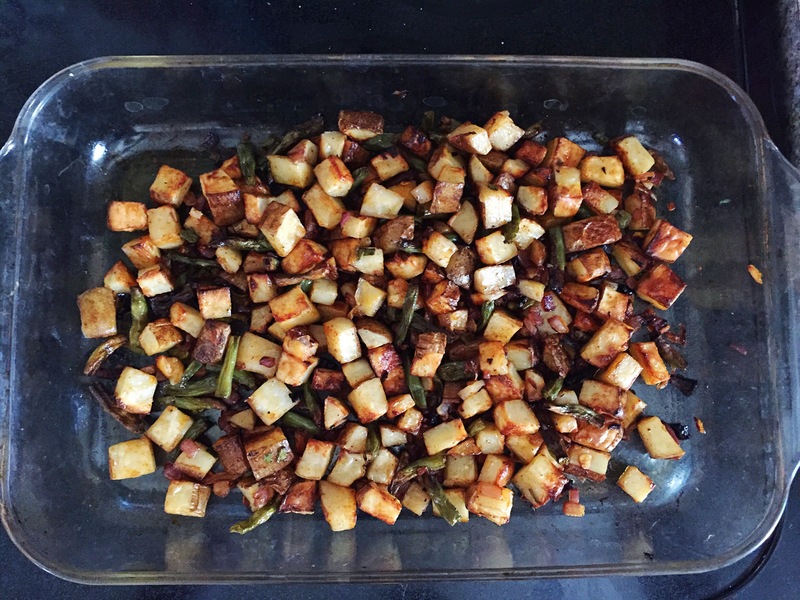 The hash is done when the potatoes are fork-tender. This hash is best-served underneath two over-easy eggs & a generous sprinkling of hot sauce!